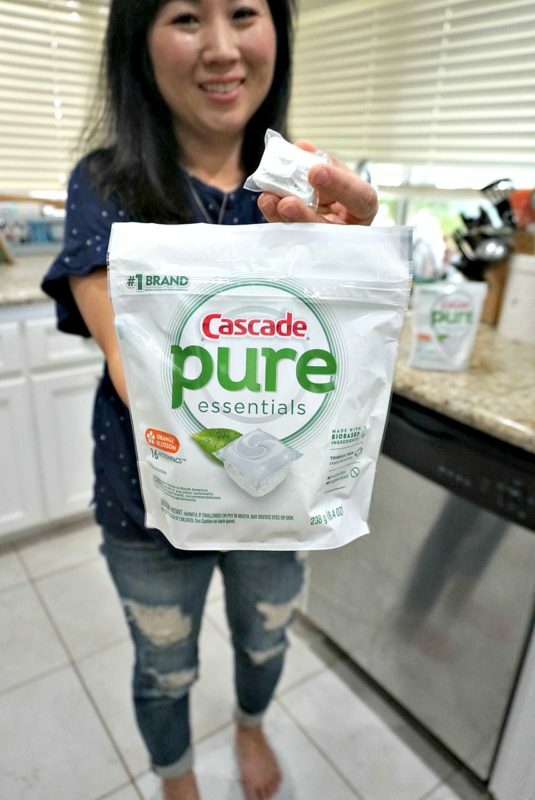 This post is sponsored by Cascade pure essentials but all thoughts and opinions are my own. Growing up in an Asian household, we never used a dishwasher. It was always used to put the dishes in AFTER you washed them so that they’ll dry. Crazy, right? One day after a dinner party, my husband started to load the dishwasher with dirty dishes. He loaded it up, put a dishwashing pod in and turned it on! Whenever it was my turn to do the dishes, I still did them by hand. That went on until we had our daughter. I decided to load the dishwasher up one day and I never looked back! Ever since we started using our dishwasher, we’ve always used Cascade products. Cascade products have worked for us and I love that they clean our dishes well. So I was very excited to discover that they came out with a new product called Cascade pure essentials! What is it? It’s the perfect blend of reliability I’m used to with Cascade, but with a simplified formula. It’s a dye-free liquid top that contains no phosphates or chlorine bleach. Not only that, it’s formulated with 1/3 bio-based and other thoughtfully selected ingredients so that I can feel better about using it with my family without compromising on performance. 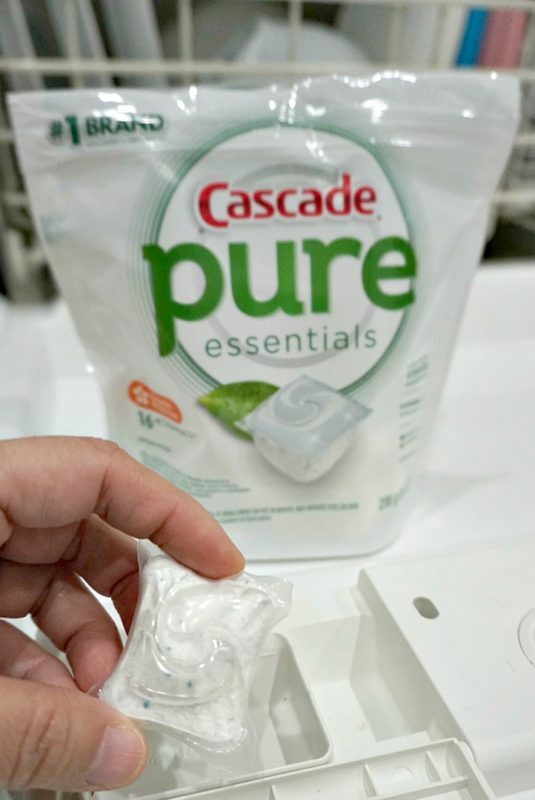 I tried out Cascade pure essentials this weekend and I really liked it. There was less of a soapy scent when the dishes were done. My dishes and silverware were just as clean as before! Overall, the kitchen smelled less soapy while the dishwasher was running! 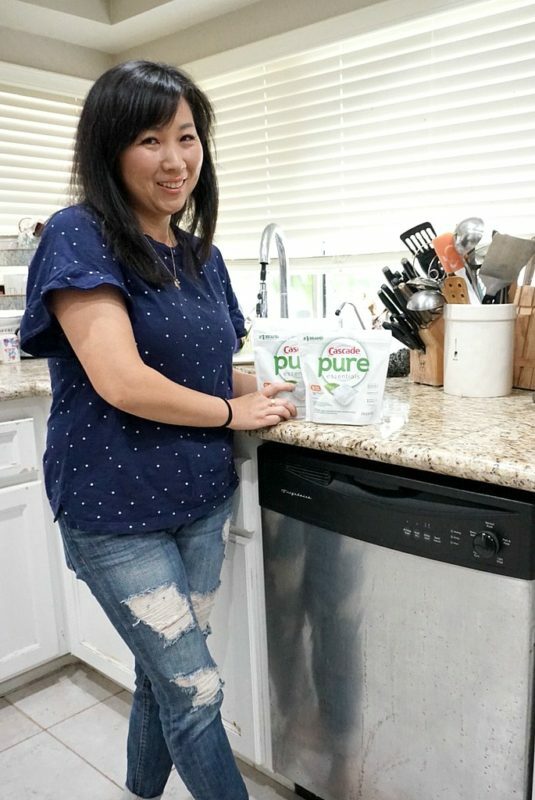 Best of all, my dishes were clean and I’m happy knowing that I’m using a product that contains a simplified formula but still performs to clean just as well. It’s a must-have in our household now! 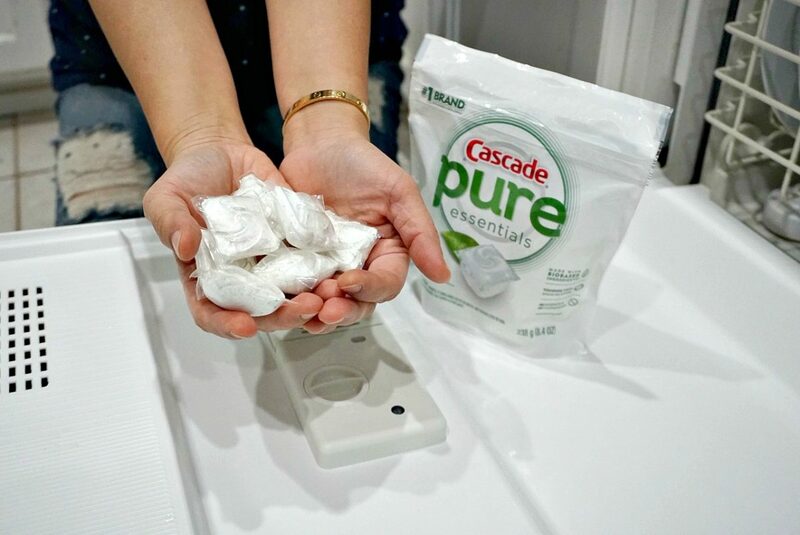 Have you heard of Cascade pure essentials?